In the second of an ongoing series of delightfully diverse collections, Radio Archives opens its vaults to bring you another eight hours of entertainment from a wide variety of classic radio shows. 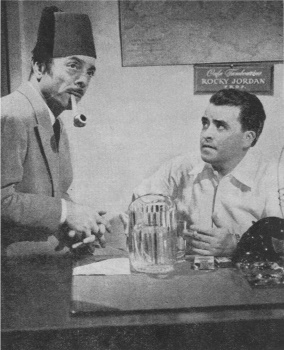 In this set, we feature programs from Under Arrest, a fascinating postwar police procedural series, Rocky Jordan where "Flashing eyes and flashing knives...intrigue, mystery, and murder in the dusty, crowded streets of Cairo." meant excitement. The Screen Guild Theater, a long-running anthology series offering the top names of radio and motion pictures in adaptations of popular film successes. Also in this collection is Grand Central Station "As a bullet seeks its target, shining rails in every part of our great country are aimed at Grand Central Station, heart of the nation's greatest city. ", and we finish up with some extremely rare 1937 broadcasts of Phyl Coe Mysteries, featuring radio's first female detective in a series of baffling cases. It's a unique glimpse into the diversity of radio's past -- and a reminder of just how entertaining radio drama can be! Back in the days before TV reruns became commonplace, it was customary for most long-running network radio series to take a summer hiatus and leave the air between the months of June and September. This not only allowed the stars of these popular shows the chance for either a vacation or to make a couple of film appearances, it also allowed the networks to try out new shows on a "sustaining" basis - that is, paid for by the networks themselves until a sponsor could hopefully be found. Under Arrest, a police procedural drama first aired in July of 1946, began as one of these summer replacements. A mixture of This Is Your FBI and the earlier Calling All Cars, it initially starred Craig McDonnell as Police Captain John Drake, head of a large metropolitan police force. 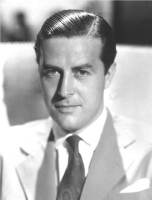 Aired over the Mutual Network in the summer months of 1946, 1947, and 1948 as a seasonal replacement for The Shadow, the 1948 series featured a change of leading character and leading man: radio and movie character actor Joe DeSantis took over the lead as the series became "the story of Captain Jim Scott's fight against crime". Actor Joe DeSantis had an interesting and varied career, both as a successful performer and as a well-known sculptor. Born to Italian immigrant parents, he was raised in New York and worked his way through New York University as he studied both sculpture and drama. His first college performances were, in fact, in Italian, after which he spent three seasons with the Walter Hampden Repertory Company, performing in English. Like many aspiring actors, he found considerable work in radio, featured in such series as Pepper Young's Family, The March of Time, and Gangbusters - many of which allowed him to draw upon his ethnic roots for various characterizations. 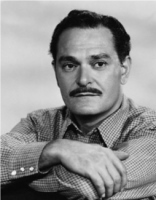 Likely his most memorable radio appearance was as narrator for On a Note of Triumph, Norman Corwin's insightful and thought provoking radio elegy to the end of World War II, but it was his "bread and butter" roles on series such as Under Arrest that brought him the most consistent attention. It's interesting to note that, by 1946, when most network radio shows were being produced in Hollywood, Under Arrest was produced in New York, likely out of the busy studios of radio station WOR, the Mutual flagship where the majority of its east coast production was based. Heard today, the best features of Under Arrest are the scripts by such scribes as Bill Wells, Thornton Leonard, and Norman Lessing, and the excellent character work by DeSantis and a host of radio's best and most versatile actors - people like Joseph Julian, Joan Alexander, Luis Van Rooten, and Ralph Bell. Flashing eyes and flashing knives...intrigue, mystery, and murder in the dusty, crowded streets of Cairo. That's what a visit with Rocky Jordan meant to faithful west coast radio listeners between 1945 and 1951. Reminiscent of the classic movies Algiers and Casablanca, George Raft plays Rocky Jordan, handsome but cynical owner of the Cafe Tambourine. The atmosphere is familiar as well: a waterfront cafe near the desert sands that caters to fez-wearing diamond smugglers, black marketeers, gun runners, arsonists, racketeers, ex-Nazis, and international thieves. In Cairo, it seems, World War II may be over...but not the mystery or the intrigue. Close your eyes and feel the hot desert winds against your face. Listen to the babble of the crowds at the bazaar. Feel the adrenaline rush as a sharp Bedouin knife thunks into the woodwork inches from your ear. It's time for another action-packed Cairo adventure with Rocky Jordan. We are happy to release two more fully restored shows that wouldn't fit in our three volumes of Rocky Jordan. Imagine Hollywood's biggest stars performing, week after week, free of charge, for thirteen years to help fellow actors in need. This was the Screen Guild Theatre radio show's mission from 1939 to 1952. Each participating Screen Actors Guild member contributed his or her full salary to the Motion Picture Relief Fund, with the intent of raising enough money to build and maintain a home for the aged and needy who gave years of service to the motion picture industry. During its thirteen-year run, the Screen Guild show raised 5.3 million dollars for the Fund, which eventually was invested in land in the west San Fernando Valley. It was on this property that, in 1948, the Motion Picture Country House and Hospital was built. In addition to working for the charitable efforts of the SAG, another benefit of appearing on a Screen Guild Theater broadcast was the sponsor's habit of sending each star a copy of their performance on a series of 78 RPM records, complete with a handsome souvenir album created especially for each performer. As a result, far more Screen Guild broadcasts exist to be enjoyed today than many other programs - a lasting legacy of both the good works of the Guild and the entertainment value of these dramatic shows. This Archive Masters collection offers four full-length broadcasts of The Screen Guild Theater. 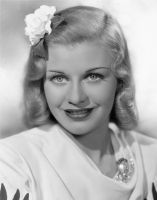 The movie stars are legion, including such bright lights as Ginger Rogers, Basil Rathbone, and Nigel Bruce, Margaret O’Brien, and Robert Young. "As a bullet seeks its target, shining rails in every part of our great country are aimed at Grand Central Station, heart of the nation's greatest city. Drawn by the magnetic force of the fantastic metropolis, day and night, great trains rush toward the Hudson River, sweep down its eastern bank for one hundred and forty miles, flash briefly by the long red row of tenement houses south of 125th Street, dive with a roar into the two and a half mile tunnel which burrows beneath the glitter and swank of Park Avenue, and then...Grand Central Station...crossroads of a million private lives, gigantic stage on which are played a thousand dramas daily." It was one of the most memorable openings in radio history. Listening to it, one could easily imagine a shiny Art Deco streamliner speeding toward the Mecca of New York City, filled with excited passengers anticipating their arrival into the echoing halls of America's greatest train station. If you lived in small-town America, as so many still did back in the mid-20th century, or even if you lived in Manhattan itself, you couldn't help but be thrilled at the sheer drama of the opening, intoned by the excitable announcer with his deep voice ever increasing in intensity until, complete with a train whistle and the whooshing sounds of a rapidly moving locomotive, the echo chamber kicked in just in time to hear "Graaannnnd Cennntralll Station!" Oddly enough, once the opening was completed, Grand Central Station as a program was really nothing more than a fairly light dramatic anthology series, following one of the passengers leaving the train into some sort of dramatic, comedic, or touching series of events that might (or might not) change their lives. For casting, CBS drew upon the wide array of professional New York-based actors and actresses who, when not vying for stage roles, were making a nice living doing radio work on the side. 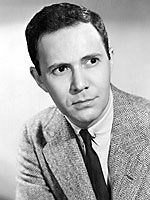 So even modern listeners, familiar with the radio shows of the 1940s, can enjoy identifying such prolific performers as Richard Kollmar, Alexander Scourby, Parker Fennelly, Staats Cotsworth, Mason Adams, and Hume Cronyn in the various casts. The two shows presented in this Archive Masters collection are fairly representative of the series as a whole. The first, "Larkspur to Feed the Soul," is literally a love letter to the heady allure of the footlights and the second offers the series' traditional Christmas program, reenacted for many years at yuletide, in which a sour and bitter man rediscovers his faith in mankind in a most unusual way. With the exception of such experimental shows as The Columbia Workshop and The Mercury Theater on the Air, most radio shows were aired with a single goal in mind: to sell products to the public. And as soon as the Clicquot Club Eskimos were formed to sell ginger ale and Billy Jones and Ernie Hare became the Interwoven Pair in order to sell socks, naming a radio series - or even a radio character - after the sponsor's product became not only commonplace, but darned good business, too. Phyl Coe Mysteries took this notion to the ultimate extreme. Designed to advertise the radios and radio tubes produced by the Philco Corporation, the series lead was one Phyl Coe -- "Phyl" short for Phyllis, of course -- who, as radio's first female detective, would each week be presented with a baffling case to solve. Making its debut in 1936, this series of syndicated shows was designed to instill the name Philco indelibly into the brain of each and every listener -- and, what's more, since every investigation offered the suspects ample opportunities to switch on a nearby radio and comment on the fidelity of the great Philco receiver they were listening to, Philco would thus become synonymous with quality. Neat, huh? But that wasn't all. Not only would Ms. Coe be presented weekly with a case to solve, each week the listener would be invited to solve the case themselves - and, in time, possibly win part of the massive $50,000.00 cash prize being offered by the sponsor. To do so, however, listeners would have to stop by their "friendly Philco dealer" and pick up a copy of the official series booklet, which recounted the clues and also contained the official entry blanks. The series was a massive success, eventually airing on over 250 local radio stations and resulting in millions of mail-in entries. Heard today, Phyl Coe Mysteries is basically a novelty - a peek into what we might consider to be the innocence of an earlier age. But if you're tempted to chuckle at the gullibility of the average radio listener circa 1937, consider this: by 1940, Philco was among the top three sellers of radio sets in the world. And, in todays dollars, $50,000.00 is now worth $768,863.21. When you think of how many "gullible" people play the lottery each week, might you not be willing to spend a half-hour or so each week attempting to solve a crime in order to possibly get a piece of three-quarters of a million dollars? The Radio Archive's staff have selected some of the best shows during Radio's Golden Age for this Volume two in the Archive Master series. Fans of vintage vacuum tube radios will be thrilled to hear six episodes of the Philco Mysteries starring the female detective Phil Coe. Interesting ads for Philco Radios and vacuum tubes intermingled also in the script certainly made Philco in the late 1930's one of the best selling Radios on the US market. The Radio Archives staff have produced each show in sparkling audio fidelity and clarity and each set is made in heavy duty cases with unusual photographs or cover art. Each CD is provided a separate plastic sleeve for added protection. HIGHLY RECOMMENDED especially for lovers of unique early Radio Shows sponsored by an actual Radio Company made in the USA!